In 2010 the visual live show of my artist Ugress was adapted and developed towards kids at primary schools and a flexible, modular setup to work at both tiny classrooms and large arena venues. 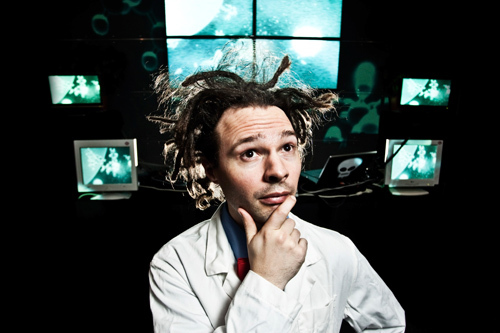 The show, incorporating mad electronica professors, live sampling of the kids, video wall visuals and video game controller instruments, performed more than 50 concerts on a wide spectre of schools and venues, organized by Rikskonsertene and Kulturskatten. The tour was continuously reported in the blog with daily updates.